Acclaimed author, historian, and Guggenheim Fellow Kevin Starr is a professor at the University of Southern California. 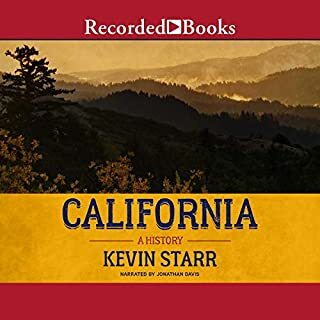 His extensive knowledge shines through this concise, yet comprehensive, depiction of the most fascinating aspects in California's history. From its colonial beginnings through Governor Schwarzenegger's administration, the Golden State has become a uniquely American phenomenon that has enchanted people with the possibility of a better life. Midcentury Los Angeles: A city sold to the world as "the white spot of America", a land of sunshine and orange groves, Midwestern values, and Hollywood stars, protected by the world's most famous police force, the Dragnet-era LAPD. Behind this public image lies a hidden world of "pleasure girls" and crooked cops, ruthless newspaper tycoons, corrupt politicians, and East Coast gangsters on the make. 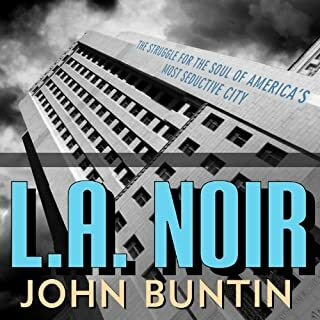 Into this underworld came two men - one L.A.'s most notorious gangster, the other its most famous police chief - each prepared to battle the other for the soul of the city. J. G. Boswell was the biggest farmer in America. He built a secret empire while thumbing his nose at nature, politicians, labor unions, and every journalist who ever tried to lift the veil on the ultimate "factory in the fields". 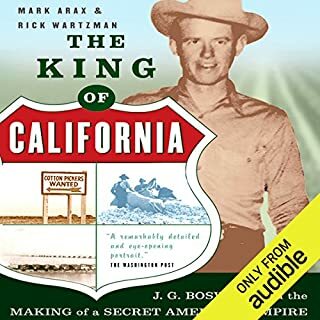 The King of California is the previously untold account of how a Georgia slave-owning family migrated to California in the early 1920s, drained one of America 's biggest lakes in an act of incredible hubris and carved out the richest cotton empire in the world. Starr brilliantly illuminates the dominant economic, social, and cultural forces in California in these pivotal years. 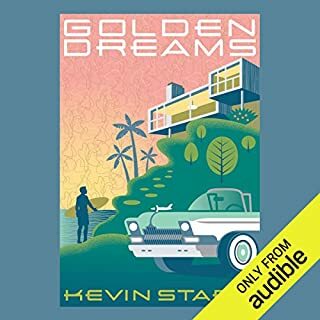 In a powerful blend of telling events, colorful personalities, and insightful analyses, Starr examines such issues as the overnight creation of the postwar California suburb, the rise of Los Angeles as Super City, the reluctant emergence of San Diego as one of the largest cities in the nation, and the decline of political centrism. Give us more Starr on California!! No metropolis has been more loved or more hated. To its official boosters, "Los Angeles brings it all together". To detractors, LA is a sunlit mortuary where "you can rot without feeling it". 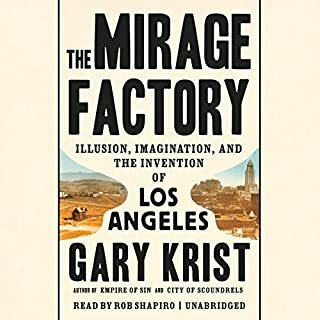 To Mike Davis, the author of this fiercely elegant and wide-ranging work of social history, Los Angeles is both utopia and dystopia, a place where the last Joshua trees are being plowed under to make room for model communities in the desert, where the rich have hired their own police to fend off street gangs, as well as armed Beirut militias. California now has more trees than at any time since the late Pleistocene. This green landscape, however, is not the work of nature. It’s the work of history. In the years after the Gold Rush, American settlers remade the California landscape, harnessing nature to their vision of the good life. Horticulturists, boosters, and civic reformers began to "improve" the bare, brown countryside, planting millions of trees to create groves, wooded suburbs, and landscaped cities. In this fresh and powerful work of environmental history, Martin Doyle explores how rivers have often been the source of arguments at the heart of the American experiment - over federalism, taxation, regulation, conservation, and development. Doyle tells the epic story of America and its rivers, from the US Constitution's roots in interstate river navigation, the origins of the Army Corps of Engineers, the discovery of gold in 1848, and the construction of the Hoover Dam and the TVA during the New Deal, to the failure of the levees in Hurricane Katrina. The culture wars are over and the idiots have won. This is a veteran journalist’s caustically funny, righteously angry lament about the glorification of ignorance in the United States. The three Great Premises of Idiot America: · Any theory is valid if it sells books, soaks up ratings, or otherwise moves units; anything can be true if someone says it loudly enough; "fact" is that which enough people believe. And "truth" is determined by how fervently they believe it. In 1907 Irish immigrant William Mulholland conceived and built one of the greatest civil engineering feats in history: the aqueduct that carried water 223 miles from the Sierra Nevada mountains to Los Angeles - allowing this small, resource-challenged desert city to grow into a modern global metropolis. Drawing on new research, Les Standiford vividly captures the larger-than-life engineer and the breathtaking scope of his six-year, $23-million project that would transform a region, a state, and a nation at the dawn of its greatest century. With energy and colorful detail, Water to the Angels brings to life the personalities, politics, and power - including bribery, deception, force, and bicoastal financial warfare - behind this dramatic event. At a time when the importance of water is being recognized as never before - considered by many experts to be the essential resource of the twenty-first century - Water to the Angels brings into focus the vigor of a fabled era, the might of a larger-than-life individual, and the scale of a priceless construction project and sheds critical light on a past that offers insights for our future. great story of William Mulholland's life and the building of Los Angeles aquaduct. Very compelling. 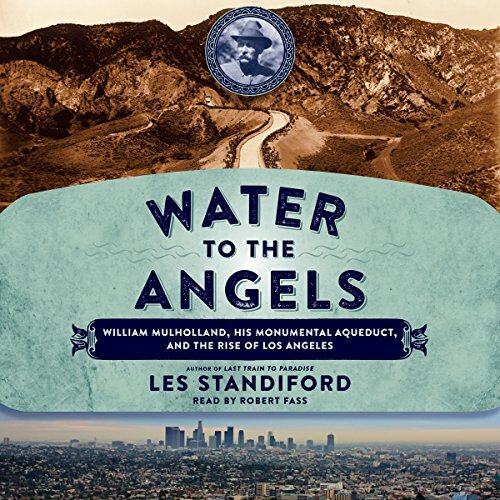 for anyone interested in the history behind the Los Angeles Aqueduct and its chief engineer designer and Creator, Mulholland, this is the book for you! the narration is captivating, and the story very interesting especially if you live in California. Fascinating story of the history of Los Angeles and one man's plan to provide water for his adopted city. Intrigue, politics, and even violence could not stop Mulholland's mission to build the Los Angeles aquaduct. Must listen for those that are looking for a highly informative but non boring book. I'd recommend this book to those who want an easy to understand and accessible overview of LA's complex water issues. 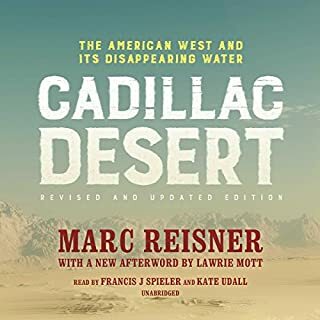 Water is a big issue for us in So Cal and this book really helps understand the backdrop of how we got to where we are today. I would've appreciated a deeper dive into a few of the topics within the book. LA's history is so rich and storied the author could've pick a few elements to expand on. But, as I wrote, the book delivered a very good and accessible account of a fascinating and dramatic topic. What three words best describe Robert Fass’s voice? No to be mean but the narrator's voice sounded like it was run through auto tune a few times over. A must read for ALL Californians. Great story and narration. The drama and finagling that took place to bring water to Southern California is a story all Californians should learn from. We need to have gratitude for the water we have and practice stewardship for the birthplace of this precious resource. What did you love best about Water to the Angels? In another time of a California drought, it is interesting to understand that the water problem is as old as California. I have come to understand that California as we know it is a man-made place. W/o the water projects, Southern California is just a string of small, poor, dry communities. W/o the water projects, the valleys that produce so much of the nation's food are just range land, maybe good for grazing animals. Men like William Mulholland made this land the garden it is. Even with all the trouble today, it is still a great achievement. William Mulholland is a guy I would like to meet. He was a true genius and evidently a great storyteller. And an honest civil servant. I would not say "moved" but I greatly enjoyed the background on California water geography and found descriptions of Mulholland very interesting. As I wrote above, he is the guy a guy I would love to meet. well you can imagine !!!!!! i expect to be able to hear more than a few pages!!! !